Our people make us great! Learn more about the team that keeps Zebra Crossings going. Astrid has a long history working with youth and families for the American Youth Foundation (AYF). She served AYF for 14 years where she held many positions including Program Director and Site Director. Since 2002, Astrid has been supporting Camp Meridian, a camp for children with a congenital heart defects. A few years later, she was involved in the new partnership between AYF and CHaD at Wentworth Douglass Hospital to develop programs for children with diabetes and their families. In 2009, she left AYF to start Zebra Crossings. Astrid continues to serve as a member of the AYF Risk Management Committee and serves on the board of Leadership Seacoast. She is a licensed EMT and she volunteers with McGregor Memorial EMS in Durham, NH. Sheila joined Zebra Crossings in January of 2011 as the primary program leader and she has brought continuity to our programs. She has years of experience as a youth program facilitator at Sweetser and the Browne Center. She brings great energy and creativity to the programs and creates an inclusive environment where every participant feels safe and a sense of belonging. Michele joined the Zebra Crossings team in 2019. 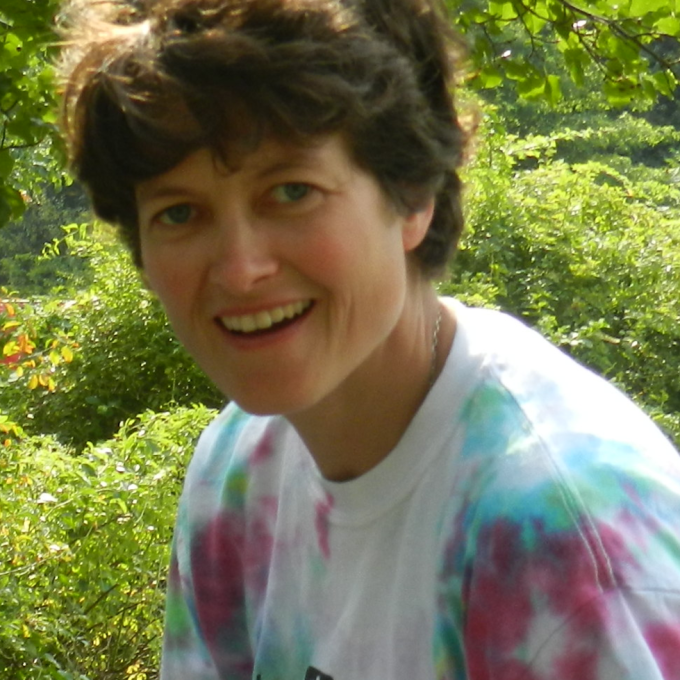 She embodies a life-long passion for experiential education. Michele possesses many years of leadership experience in creating, coordinating and guiding adventure and service based learning initiatives for youth and families, as well as a diverse and extensive background in social work. An alumni of AmeriCorps and the AmeriCorps Leaders Program, Michele is an ambassador for positive social change, and has always been devoted to serving her community with compassion and empathy. For the past five years she has focused her energies on coaching and after-school enrichment programming. For the fourteen years prior, she managed the HCV Family Self-Sufficiency Program for the Dover Housing Authority, in conjunction with sustaining educational contract work for the Woodman Park Elementary School and the Seymour Osman Community Center. She is currently a per diem facilitator for the UNH Browne Center. 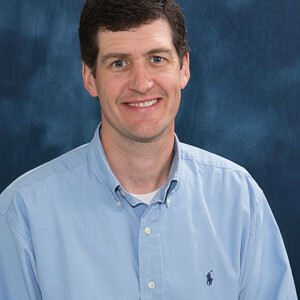 Dr. Ryan Johnson is affiliated with Dover Pediatrics and Wentworth Douglass Hospital. As Zebra Crossings volunteer Medical Director, Ryan provides standing orders and guidance for our medical volunteers and he serves on our Health Network Committee. 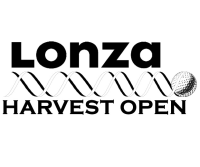 Are you interested in being part of our mission as a Committee or Board Member? Please contact us! We would like to speak with you and share more about ways you can make a difference in the lives of our kids and families! Karen Niland is a Registered Nurse with extensive experience in Obstetric, Pediatric, Family and Reproductive Health. She is a lecturer in the Nursing Department at the University of New Hampshire and the Faculty Advisor for the UNH Student Nursing Organization. 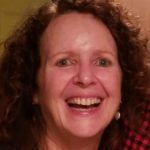 Karen has a long history as a passionate community volunteer including director and founding board member of Oyster River Parents and Preschoolers; a community enrichment, recreation and social organization. She has been the Curriculum Enrichment Chair at Moharimet School for 5 years establishing two favorite school activities: the annual Moharimet Pumpkin Stroll and creation of the Moharimet Pumpkin Patch. Karen resides in Madbury, NH with her husband Keven, and their two middle-school children: Spencer and Phoebe, Speedy the turtle, and a lively flock of chickens. The Niland family loves to have fun outside: camping, fishing, lobstering, hunting, skiing, gardening, maple sugaring and hiking. Kim Wesson is a certified special education and elementary education teacher. She has been teacher for twenty-seven years in a variety of settings from kindergarten to college. Kim has an extensive history of advocating for children who may face challenges in a school setting. She is passionate about inclusion, particularly for children with chronic health conditions. She was involved in the forefront of major legislative changes for children with asthma and severe food allergies; as well as a leader in the community who actively pursued positive modifications to emergency treatment plans. Kim has been a resident of Durham for twenty-one years. she will become a new resident of Dover this summer. She will experience an “empty nest” for the first time this fall as her youngest heads off to college. A new chapter that brings some uncertainty and anxiety; her son has multiple severe food allergies and asthma. Her oldest son is a full time student at Lynn University in Boca Raton, Florida. In her free time Kim enjoys spending time with her family and her golden retriever. She enjoys photography and being outdoors. She is an avid runner and swimmer, enjoys hiking, kayaking and watching wildlife. Mary Henderson has had a career in the financial industry for over 30 years. She joined Bank of New Hampshire (BNH) as the Assistant Vice President, Portsmouth Branch Manager in 2016 as BNH expanded its branch network to Portsmouth. Mary’s commitment to personal service and unwavering dedication to philanthropy, makes her a true asset to Bank of New Hampshire. She unquestionably fulfills the Bank’s mission of enhancing the quality of life in our local community. Mary has been active in the Rochester Chamber of Commerce, serving on the Board of Directors for 7 years, including 3 years on the Executive Board as Treasurer. She also served on the Rochester Chamber annual banquet and public relations committees and served as Chair of the annual summer raffle committee. Mary served on the YMCA of Strafford County Board of Directors and was part of the Capital Campaign committee which was remarkably successful and funded the construction of the current facility at Ten Rod Road in Rochester. She served as an original Board Member of the Rochester Main Street program and served on their Capital Campaign, Economic Development and Finance committees. Mary was recognized in 2007 as New Hampshire Main Street Center Board Member of the Year and was also recognized by Rochester City Mayor for outstanding volunteer work in the community. 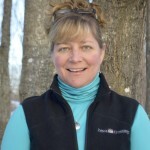 Mary currently serves as Vice President on the NH Farm Museum Board of Trustees. For the past 14 years, Tracey has worked as a project management consultant supporting Fortune 500 companies with the implementation of project management systems and the execution of large, complex projects. 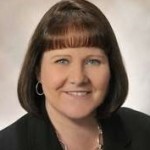 In April of 2016, Tracey joined Santander Bank, N.A., in the role of Snr. VP of Enterprise Project Management Office, overseeing the development and implementation of the Project Management Framework across Santander US. With a passion for education and STEM, Tracey is also a founding partner of the educational media company, Learniverse LLC, which has partnered with NHPTV in the development and delivery of a fun and interactive STEM learning series featuring the QUINKs. Tracey also has supported non-profit organizations such as Crossroads and the Kennebec Girl Scout Council and was a member of the Board of Trustees for the Greenland Public Library. Tracey has lived in Austria, Germany and Australia and enjoys traveling back to Europe as often as she can to keep up on her German and get in some quality hiking. In the past few years, Tracey has found herself learning piano for the first time and has been working on her tap dancing technique. Debora has been an insurance professional for over 30 years. She joined Chubb 1996 as an account executive working jointly with the Property and Casualty underwriting team in providing insurance services to Fortune 500 and 1000 US –based multinationals. In 2011, she expanded her role and focused on establishing and growing a team dedicated to international clients. She now leads 11 global teams that provide best-in-class service to corporate multinational clients in over 80 countries outside the US and Canada. Throughout her tenure at Chubb, Debora has supported many local and Boston –based organizations dedicated to serving the community including Zebra Crossings, Cradles to Crayons, Boston Food Bank, Pine Street Inn, Habitat for Humanity, MSPCA, The Pan Mass Challenge, Women’s Lunch Place, Dress for Success Boston, Rosie’s Place, More Than Words and Project Hope. Debora has been a resident of the Seacoast for 23 years, and now lives in Portsmouth. She currently serves as President of the Board for the McIntosh Condo Association in Portsmouth and has been in that role for three years. She loves spending time with her family and friends, loves music, animals, reading and nature. She is now tackling learning to play guitar. Her personal philosophy is to live and work each day with purpose and to give back to her community whenever she can. Andrew Trowbridge grew up as an athlete and always enjoyed being outside participating any many different activities. After High School and College Andy spent time coaching basketball at a High School. While coaching Andy encountered many individuals who were not able to participate as fully as they would have liked due to limiting factors. Andy is passionate about helping people participate in the activities they want at the maximum levels they can. Andy is a Financial Advisor with Edward Jones and leads an office on Dover Point Road in Dover NH. Andy and his wife reside in Barrington with their two year old son and 5 year old Black Lab. They enjoy hiking and road cycling. Andy’s wife enjoys running and Andy tags along because he enjoys being with his wife. Andy also enjoys playing golf. Both Andy and his wife enjoy spending time watching their son run around with a superhero cape on and enjoying life as only a 2-year old can. Contact Us if you are interested in serving on Zebra Crossings Board of Directors or one of our committees. We rely on volunteers to help run our programs. We are always looking for great folks to donate their time. screened and trained to ensure the safety and wellbeing of our participants.